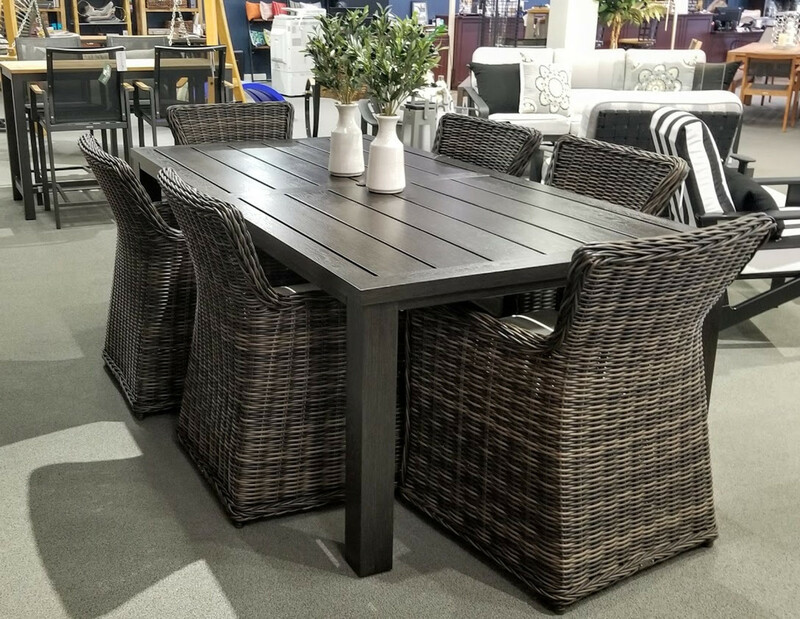 The Greenville Dining Collection, by Patio Renaissance, offers a rich and elegant, yet casual appeal to a backyard environment. The beautiful skirted Greenville Dining Chair is crafted with high-quality, thick resin wicker that is hand-woven over a durable, non-corrosive aluminum frame and comes with a Sunbrella fabric cushion for extra comfort. The coordinating St. Martin dining table is manufactured with in a hardy powder-coated aluminum with a wood-grain faux finish. This furniture is solid, elegant and will withstand the elements season after season.